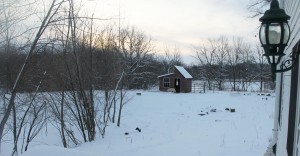 Deborah started the Thrifty Homesteader blog in 2011 upon the publication of her first book, Homegrown and Handmade. It now includes hundreds of articles about goats, chickens, gardening, pigs, sheep, cheesemaking, and recipes. 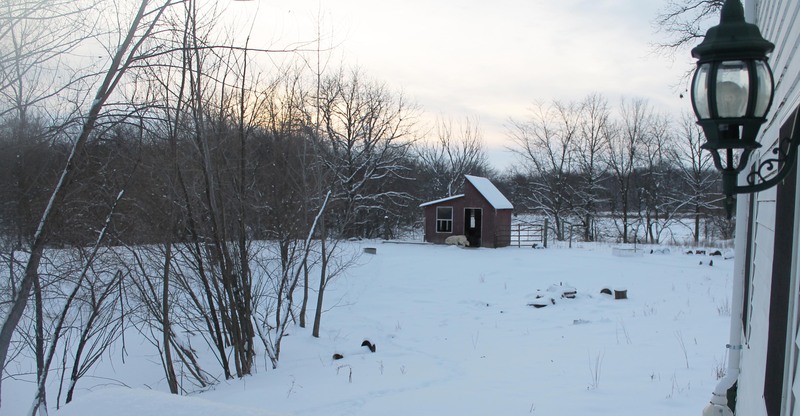 After a decade of teaching homesteading classes on the farm and receiving many requests to create videos of the classes, Deborah started the Thrifty Homesteader Academy online. She initially tried videotaping live classes but was unhappy with the quality. The classes include PowerPoint lectures and videos of goats or whatever is being discussed, as well as discussion boards where you can ask questions on each video. There are also optional self-graded quizzes to be sure you understand some of the more complex topics. In 2009, Deborah created an online network for people interested in Nigerian dwarf goats. Sometimes, you want to talk to someone who’s actually “been there.” This online community is so much more than a Facebook group. You can create your own page, ask questions in the forum, create a blog, post pictures and videos, and meet new friends who also love the littlest dairy goats. Whether you’re just thinking about adding goats to your homestead or you’re a seasoned goat breeder, you’re welcome to join us. Visit Nigerian Dwarf Dairy Goats community online. We also started a YouTube channel where Deborah posts educational videos, such as the one below. If you were ever curious about the natural process of birth for a goat, you can watch this video of our goat, Carmen, giving birth to twins in January 2009. 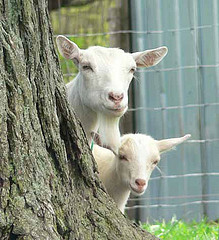 All of our goats are allowed to give birth naturally and raise their own kids. In the rare instance when there is a problem with the mama goat or the baby, we will, of course, step in to do whatever needs to be done to best care for the individual animal. We will only bottle-feed kids if there is a reason they cannot nurse from their own mother, and when bottle-feeding, we still use the mother’s milk. Hypothermia at birth is the most common reason for bottle-feeding, which is why we need to be there to dry the kid completely as soon as it’s born. Although most mamas can do a great job of cleaning up one or two kids, it is often impossible for them to care for three or four when they’re born very quickly. It is especially challenging when kids are born in the middle of an Illinois winter. A mild case of hypothermia will mean a kid is too weak to stand or nurse, but kids can die from hypothermia, which is why we need to be at the births of all goats born when it’s colder than about 50 degrees outside. It’s such a simple thing, but it’s terribly important.